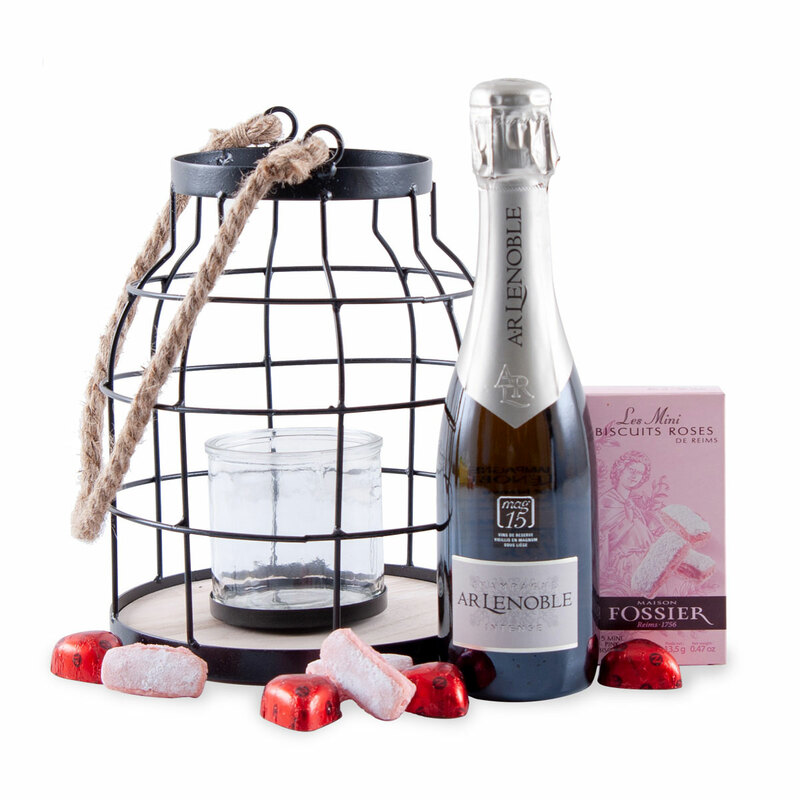 Wake up the passion with a bottle of Champagne (37.5 cl), tempting chocolate hearts, and sweet, pink biscuits by romantic candlelight. The ideal gift for couples to celebrate Valentine's Day, a wedding anniversary, or any other romantic occasion. Champagne AR Lenoble Brut Intense is a well-balanced and fruity champagne with Chardonnay, Pinot Noir & Pinot Meunier. The soft chocolate hearts from Neuhaus offer a creamy milk chocolate with a velvety praliné filling. The Biscuits Roses de Reims are refined, delicate biscuits. Delicious to savor with wine and Champagne.